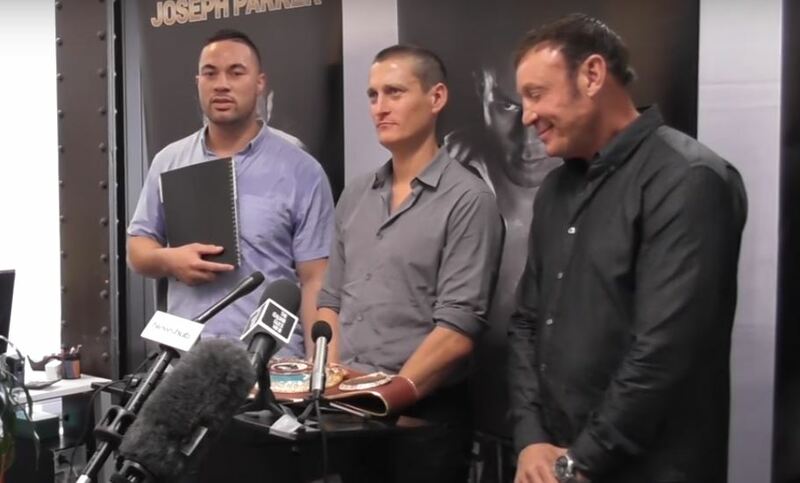 Joseph Parker promoter David Higgins reacts to the news that the fight between his charge Joseph Parker and Anthony Joshua is now set and stone – with date, TV broadcaster and venue all confirmed. The fight will be shown as a box office pay per view in the UK and Ireland on Sky Sports Box Office and it is understood the bout will be shown on Showtime in the US. It will take place on March 31st at the Principality Stadium in Cardiff, Wales. In recent weeks Parker’s promoter David Higgins has been giving animated and colorful interviews to media outlets to get his man published more in the UK. Expect plenty of mind games and comments from David Higgins over the course of the next few weeks. He already thinks they have gotten underneath Joshua’s skin and it appears to be part of their game plan to try to rattle him leading up to the bout in a bid to get a perceived edge before the first bell rings. I’m not sure will he be wasting his time or not though – Joshua doesn’t seem to care in the slightest so far. Next Post: Tyson Fury With Sunday Pint Of Guinness In Training Camp – Just The One?